Today I decided to do the Weekly Sketch Challenge on the Inky Antics Forums . I also combined it with the Inspired Colors from last week, Pink and Black...who doesn't love a classic like that??? 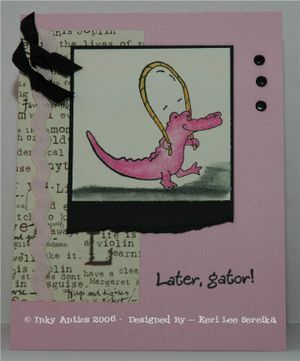 "Who says a gator can't be pink??"